The Salomon Official is a great camber all mountain freestyle ride. The Official takes practically the same shape from the super high end XLT but has a softer flex. 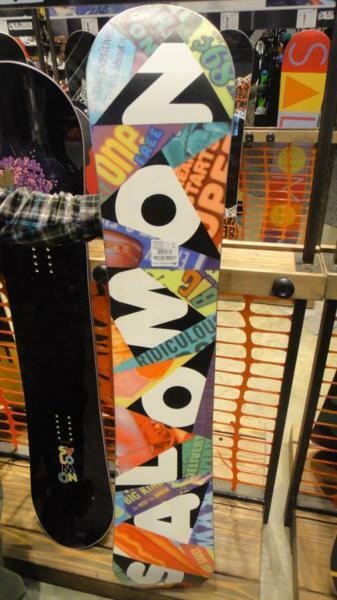 This is a great half pipe board and a fun ride for those who still like the benefits of camber more than their issues. Conditions: Some hard Colorado snow with some light pushed around snow, some soft, perfect sierra powder and about 1 foot of thick sierra cement. 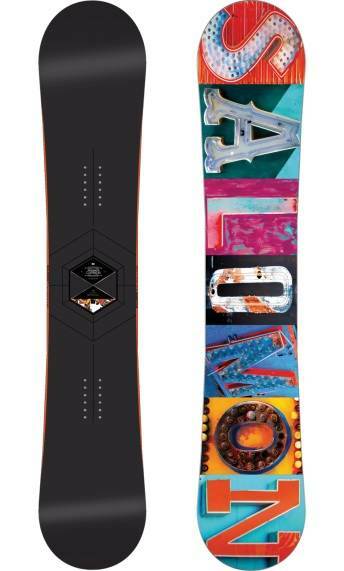 This is Salomon’s 50/50 park/mountain board. If you want great edge hold, a medium flex and speed regular or switch this is a great choice. This helps take the park into the mountain and will not let you down any where you go. The side cut has great edge hold while still giving it the traditional feeling of riding a snowboard. 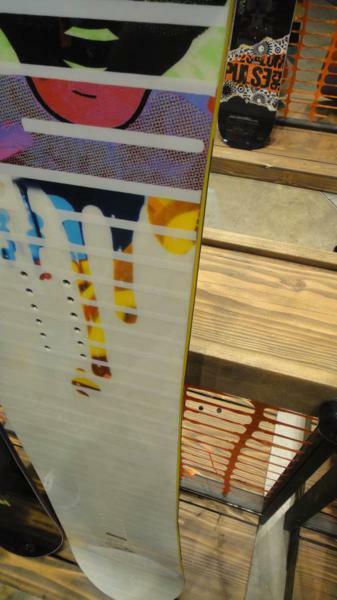 In 2010, Salomon added rubber near and around the rails to help dampen the ride. Now the boards have more flex but at the same time are more damp due to the addition of rubber tech. For 2011, the Official hasn’t changed much. For 2012 and 2013 the Official is pretty much the same ride as 2010 and 2011, but why change a good thing? 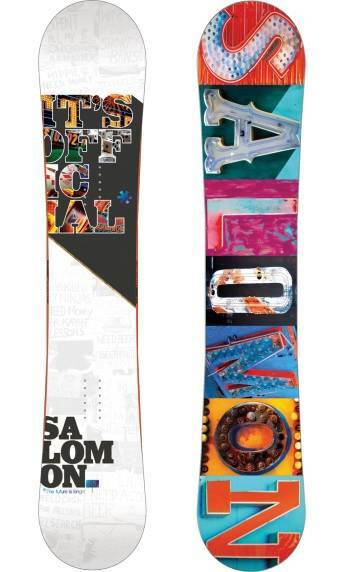 All in all, the Salomon Official is a great board for the pipe or all around the mountain.The Salomon Official has a reputation as a great do anything all mountain to all mountain freestyle board that rips the pipe and we agree. However with all the hybrid shapes out there, it isn’t the one board for every condition type of ride. The 2014 hasn’t changed much either. On Snow Feel: Yeah, taking a carve, ollie, carve approach to the mountain is really fun with the Official but it’s for aggressive or technical riders. It also seemed to want us to stop in the half pipe and we liked thsi old school camber feel in it. It’s a really fun smooth conditions board. 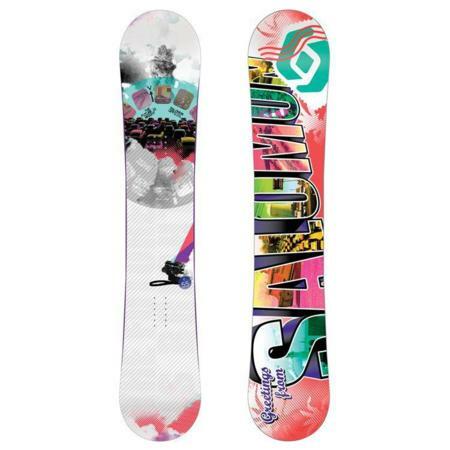 It has great edge hold for harder conditions but what ever snow you ride in you want it to be smooth. It’s very stable between the feet and it’s not terribly catchy for a full camber ride but you must be on your game compared to most hybrid shapes out there. 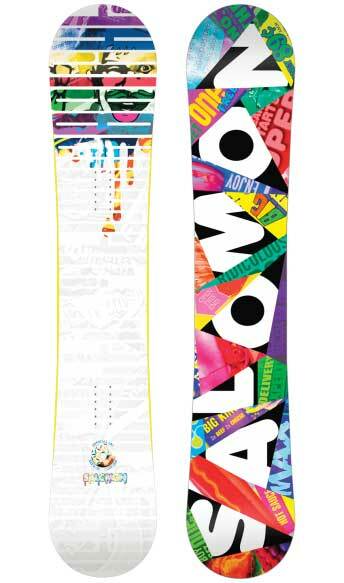 Powder: We mainly ride in thicker snow and that is a really good test as to how a board will ride in powder. Even if you are into the old school camber type of ride you will find this a little more difficult to keep afloat compared to other directional camber twins. If you ride in light fluffy powder that never gets too deep you’ll be okay, but don’t rely on this for having a great time in powder if you ride in the thick/deep snow areas of the world. 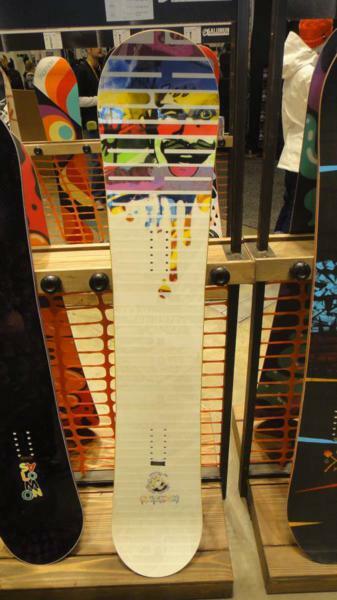 It would be fun to have this board and a dedicated powder board. Turn Initiation and Carving– Camber boards are definitely more difficult to turn than many hybrid shapes. Still the 158 we had was very responsive and easy to turn. Quick, short radius turns weren’t incredibly easy but were very doable. Wider turns are pretty damn fun. When it comes to carving out a serious turn, we both really enjoyed the feeling from the Official. Carving on this board is rather pleasurable. Speed: The Official doesn’t have that magic like the Salomon XLT or discontinued Salomon Special but it is closer to the side of excellent. We had no problems going any speed on this board. The Salomon Official seems to get angry at you if you slow down, which is kind of weird. The Official is happiest on smooth groomers at good speeds. It has that ultra damp feeling without being dull and the base isn’t so slick that the speed seems like it’s getting away from you like it did with the XLT. Uneven Terrain: The typical Salomon reverse chatter happens though when the conditions are uneven, rutted or chopped up. It seems to tell you it doesn’t want to be there by losing its damp feeling that it has at higher speeds. Approximate Weight- Not a feather weight but not too heavy either. Edge Hold: The unique multiple angle sidecut is used for many rocker snowboards in Salomon’s line. While it improves edge hold with those flat/rocker boards it’s still missing some grip. However when paired up with a medium camber shape like the Official it does a very good job holding an edge. Flex: This is on the slightly stiffer side of medium but not beyond a press or two with a little more effort. 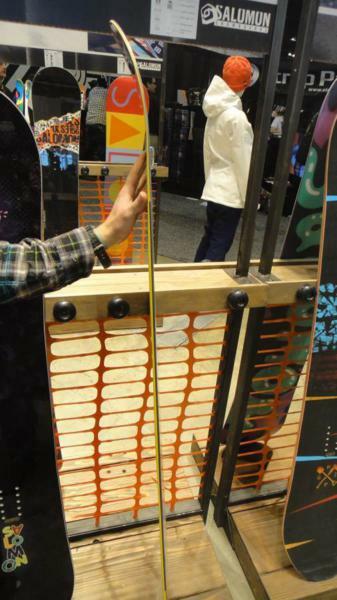 Switch: We had the stance centered and the bindings ducked out at 12 degrees. Even though this is a directional twin it felt pretty much the same riding each way. Jibbing– an awesome pipe board is not going to do as well in a jib park as other boards. Just not the Official’s forte. You can visit but you don’t want to live there with this board. Pipe: This is just a super fun pipe board for any technical rider. It climbs walls really well and is the perfect type of board to snap you from wall to wall. Jumps: Like the pipe, this is a great board for taking a technical approach to the roller coaster park. It’s also a very poppy board but that is expected from a camber profile and all the awards. Ollie power is there and it’s near the top of its class here. All in all, the Official isn’t going to be a one board for everything solution, but it has many more positive qualities than negative. If you are looking for a good camber jump/pipe/groomer board you won’t be disappointed here……especially if you have a dedicated powder board. We wish Salomon would put just a little more rubber in the rails like they did with the discontinued Special II at the end to soften up the reverse chatter we experienced in poor conditions at slower speeds. We try to get as many images of the Salomon Official, but forgive us if they're not all there. hope this helped you guys, enjoy riding!